Chippewa Wedge-Loc Tree Stands have a unique harness and wedge attachment system like no other. Our light weight, aluminum tree stands have been field tested and commended by a Michigan Department of Natural Resources Officer. 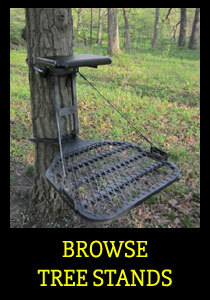 They’ve also been field tested and approved by the Pennsylvania Game Commission. Superior stability is provided by increasing tightening against the tree. Tightening is created by our unique “wedging” action, coupled with downward force and the addition of the hunter’s weight. 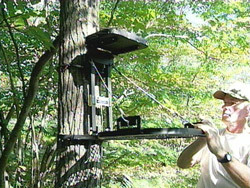 Our tree stand saddles are lined with neoprene rubber tread and/or industrial rubber bumpers, which cradles the tree, but causes no damage to the tree.